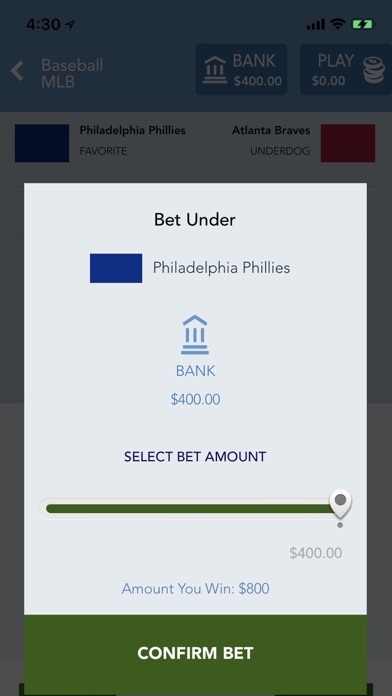 Sportsbook is the easiest and most fun game to make Moneyline, Spread, and Over/Under bets from your phone. 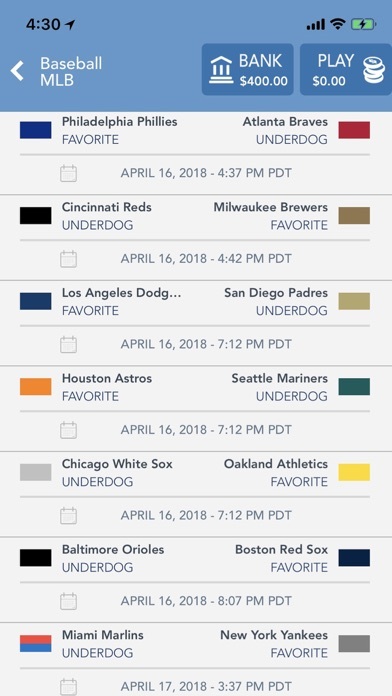 • Current games from Football (NFL, NCAAF), Basketball (NBA, NCAAB), Baseball (MLB, NCAAB), Hockey (NHL, NCAAH), Soccer/International Football (UEFA Champions League, Premier League, National League, International), and Fighting (UFC, MMA, Boxing, Bellator) • Live Vegas odds and scores! 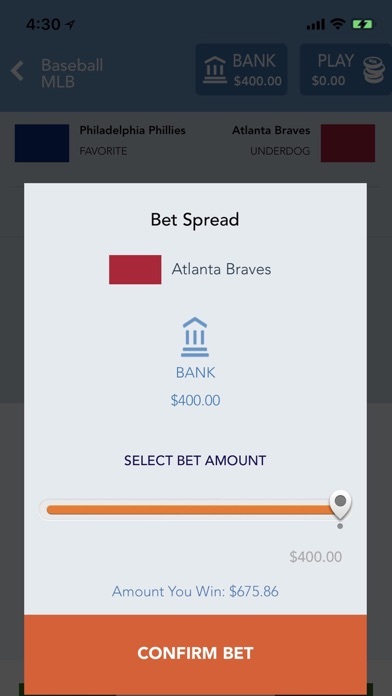 • Three bet types: ‣ Moneyline - Bet a team will win ‣ Spread - Bet a team will beat a specified point differential ‣ Over/Under - Bet that the combined score total (or number of fighting rounds) will be higher or lower than a specific value • Receive a FREE Instant Bonus the first time you run the app • Refill your in-game bank account via In-App Purchase if you go bust and get an additional FREE Instant Bonus! -------------------------- Rated Ages 17+ for Featuring Gambling and Contests/Simulated Gambling. To deactivate the In-App Purchase feature, go to Settings > General > Restrictions and turn In-App Purchase off. 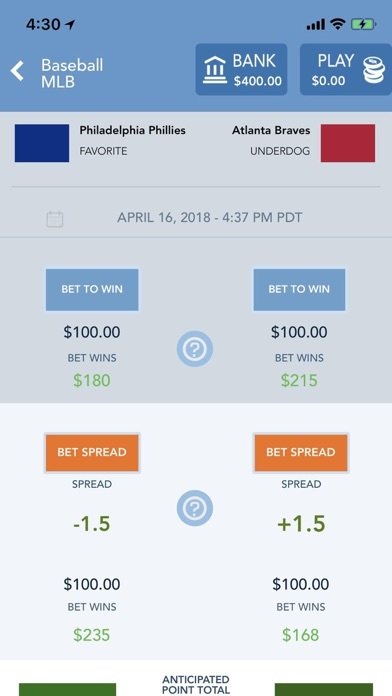 Despite using real odds, sporting events, and scores, betting is simulated and no cash out option is available to ensure compliance with all US Federal and State laws, including but not limited to the Unlawful Internet Gambling Enforcement Act of 2006 (UIGEA). Team and league names are mentioned for informational, fair-use purposes only. 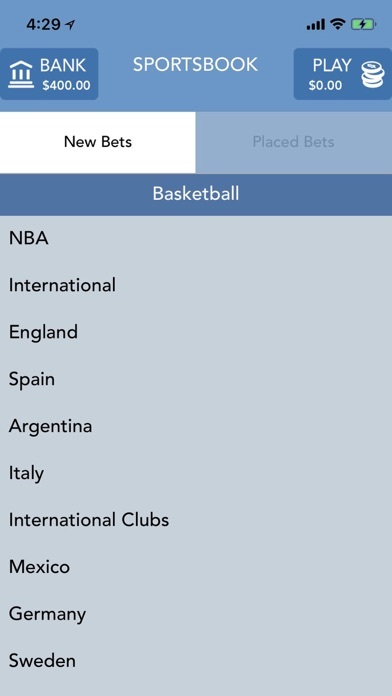 Contact Support at http://sportsbetapp.co/support if you have any questions or concerns. Not available in the Republic of Korea. There is no way to cash out. You can add money but no withdrawals. Check their website. A complete scam! 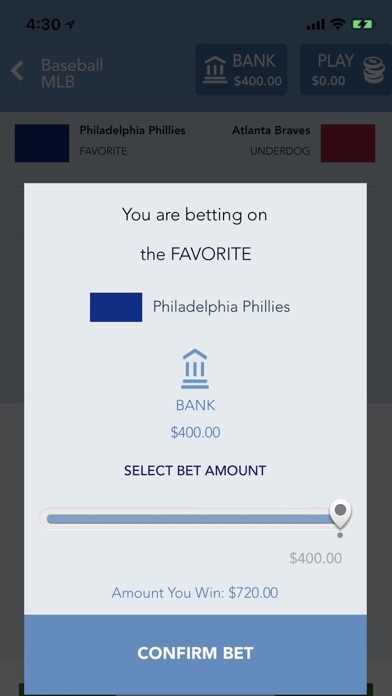 I thought it was an actual sports book betting app not simulated. It’s easy to put money in the bank, but when you win you can’t cash out. I don’t know how Apple allows this and Apple won’t give you a refund! 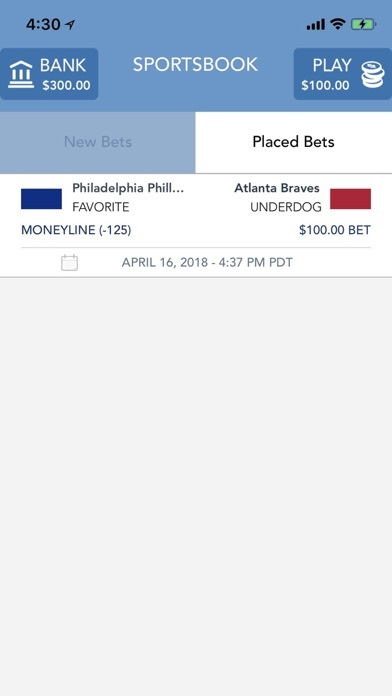 How do you withDrawl money from the app that you win? How do I win my money?!!! And cash out?